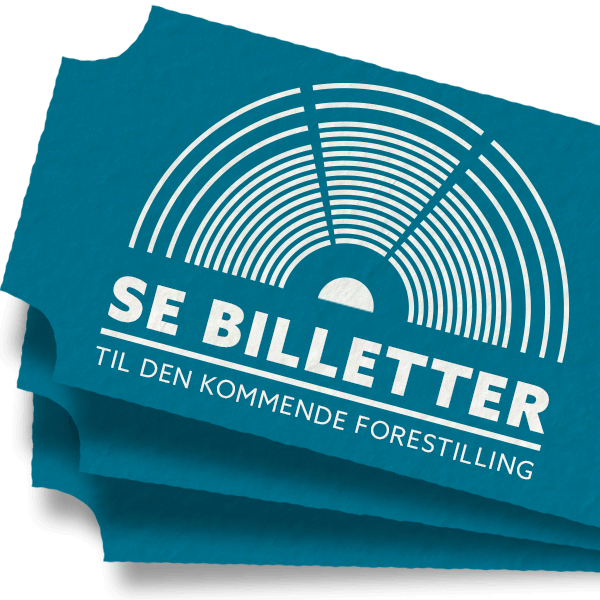 Tickets for “Carmen” can be purchased via ticketmaster.dk. You may choose exactly where you wish to be seated in one of our comfortable chairs. The opera is in two parts (4 acts) with an intermission of 25 minutes. The evening ends at approx. 22:40. There are 17 rows in the amphitheatre. Row 1 is closest to the circular stage. The view is good all the way around the theatre. Sky, landscape, lake, stage, orchestra and text machines is fully visible from all seats. The same applies to the amplified sound, bringing to you orchestra and singers in an intimate audible format. The staging is created to serve and communicate to a 180 degrees of viewing. Click here to see a detailed description and plan of the theatre here. If you travel by car you will find Opera Hedeland close to Hedehusene. The address is 8, Tranemosevej, DK-2640 Hedehusene. Parking at the amphitheatre is free. We can accommodate more than 2000 cars on our two large parking areas. Volunteer staff assist on arrival and departure. Please note that the main road capacity taking you in and out of the Opera Hedeland is approximately 1800 vehicles/hour. The average time to get out of the area and onto the main roads is 40 minutes. A taxi from e.g. Roskilde Station is approximately 15 minutes from the venue. The distance from central Copenhagen is approximately 25 km. Taxis can be booked at +45 4848 4848. Free shuttlebuses are in service from Hoje Taastrup Station to the venue and back after the performance. Everybody with a valid ticket for the performance of the day can access the bus free of charge. The bus is located at the West-side of the station (near the taxis). Departures in 2019 are on August 9, 16 and 17 at 1800 hrs. and 1900 hrs. It takes about 20 minutes to get from the station to Opera Hedeland. After the performance the busses return to Hoje Taastrup station from the venue at approximately 2250 hrs. Why not have a special treat for the night-out at the opera with the special Opera Shuttle from the central station? The bus departs from DGI Byen at Ingerslevsgade and staff from the Royal theatre introduces you to the opera – even with soundbites from the opera. Departures in 2019 are on August 9, 16 and 17 at 1830 hrs. in front of the “DGI byen”, Ingerlevsgade. Look for a green bus from the company “Kruse”. Since the first production in Opera Hedeland in 2002 only two nights have been cancelled due to adverse weather. In case of cancellation before the intermission, tickets are refunded at the venue where you bought them. Please find detailed information about the guidelines concerning weather below – and note that 95% of our guests in our annual evaluations state, that they will visit again – a substantial endorsement! A decision on postponement or cancellation is at the very earliest taken at the beginning of the performance. We are in direct contact with the meteorologist on duty at the Danish Institute of Metheorology, who has accurate data via satellite, radar and local observations in the area. In case of rain our objective is to continue the performance. However in a situation with heavy rain the begging of the performance may be postponed for up to 30 minutes, or paused for the same amount of time during the performance. As we are insured against adverse weather situations on all our performances, we have no economic enhancement to refrain from cancelling. However – in understanding with our artists – we always aim at going through with the performance if the artistic value is not compromised. Our audiences most often bring rainclothes with them – just in case. If the metheorologist on duty envisages fair weather conditions within 30 minutes, a postponement of up to 30 minutes is implemented. When reassuming the performance, the tickets are not refundable. If showers disturb technical equipment, the performance may be stopped temporarily. If the performances are resumed, tickets are not refunded. Opera Hedeland is the perfect spot for a picnic. The natural surroundings are stunning, the weather usually fair, and if you do not wish to sit in the grass, we can seat up to 1800 guests around the more than 200 tables. The audience may freely bring their own food and beverages, but Meyers Kitchen supplies delicious picnic-food. This can be pre ordered via Ticketmaster. The picnic-food is picked up at Meyers tent in the audience area near the theatre entrance. Opera Hedeland offers customized solutions to corporate companies, associations, cultural associations, clubs etc. The offers range from special pricing and special services. Feel free to contact Opera Hedeland via sales@operahedeland.dk or give us a call on +45 2479 0322 to learn more. We take pride in assisting guests with special needs. E.g. it is easy to get from the parking lot to the entrance of the amphitheatre, also for guests with mobility reduction. Special wheel chair section is reserved in the middle section on row 17. These tickets can be purchased via customer service at Ticketmaster (+45 7015 6565). If you travel from afar and need accommodation several we offer several options. Please find a few possibilities for sleeping in ancient Danish capital of Roskilde below.